I am so so happy with all the pictures!! They are amazing!!! Like for a magazine!!! Thank you so so much for making such beautiful pictures. We will always have beautiful memories thanks to you!!!!!! We had Vito capture our Wedding day in Gardone and very pleased we did. Everyone mentions how nice the pictures are and we love them too. I feel extraordinarily blessed to have found this company. I loved their photo-journalistic style which captured such classic shots similar to ones you would find in fashion magazines! Incredible, reliable and just so accommodating! For example, they split their crew and half of them went to be with my husband when he was getting ready on one island and the other half went to be with me when I was getting ready on a different island in Venice, Italy. Then we all came together at the church. This was just perfect as they didn’t miss any moments. One of the most fabulous moments was when my husband and I took a gondola ride and the photographers boarded a separate taxi boat and followed us and circled us in the grand canal while taking photos and videos of us. We felt like we were celebrities and they were our paparazzi and we loved it! Especially on our wedding day! These are just some of the things that made this company simply amazing, not to mention fun! I give them the highest recommendation to anyone looking for their wedding photographer. You can stop looking now. This is your company! You will not regret it. Whatever your vision is, they will make it happen. Poetry in a spontaneous click. This is AV-PHOTOGRAPHY, extremely good, kind, helpful and flexible photographer. We felt a click from the very first moment with him, he immediately understood what we wanted, and indeed we had it! Really recommended! We are a couple from Hong Kong and Vito took some amazing pictures with us in Venice as our wedding photographer Italy Venice. Thanks Vito! We love the photos! Our wedding photos were stunning and we were given all of them! He didnt get in the way and faded into the background. We received the photos very quickly. Professionalism and reliability guaranteed, excellent communication with the client and availability to our organizational needs for a photo shoot that has impressed our wedding day into a product of refined quality. 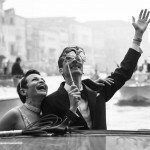 Myself and my Fiancee got Married on 30th March 2013 at the Cipriani Hotel in Venice and while searching the Internet for a professional photographer I came across AV Photography wedding photographer Italy Venice. I was immediately taken by his portfolio, the pictures have a real drama and flair, they capture the essence of the day without being too disingenuous. Having seen other reviews and his previous work we decided to book him for our special day. Vito the photographer arrived on time just as I had asked. From the moment he started taking pictures he was neither intrusive or presumptuous, throughout the ceremony he blended into the background giving us the space we needed. Vito took some amazing images of us in different rooms under different light conditions and was really creative in using props for our shoot and throughout the process always made us feel comfortable. Normally I wouldn’t go into a review in such depth but I also work in the creative industry and part of my job as a design agency director is to work with professional photographers. I arrange photo shoots, with models in various locations in and out of the studio. I have worked in the creative Industry for almost 20 years I am extremely fastidious and expect every detail to be perfect. This is important for my clients so it is only natural I would expect the same on my Wedding Day. I would like to personally say that Vito is a true professional he has a amazing ability for creativity and is a real talent a true credit to his industry. The world is awash with Wedding photographers and owning a SLR does not always make you a good photographer and based on my professional experience Vito stood out from the crowd. If you want to have perfect pictures of your special day I would defiantly recommended AV photography. Vito was our wedding photographer in Venice-Italy for our wedding. I found him through his website and liked his photographic style. His communication was excellent and he was very unobtrusive on the wedding day. The photographs were far better than anything I expected, in fact they are magnificent. I can fully recommend Vito as a photographer. He knows his stuff and most of all listens to what you want. You won’t be disappointed. 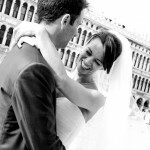 AV-PHOTOGRAPHY was our Venetian wedding photographer on a Saturday afternoon in October 2012. After extensive research, we found Vito’s portfolio and immediately knew we wanted our day captured through his lens. Vito exceeded our expectations. HIs work, and that of his assistant, was truly magical. 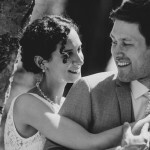 My husband and I relived every moment of our wedding day looking through the priceless images Vito captured – moments we were utterly unaware of because Vito and his assistant disappeared into our small circle of friends and family to capture those moments of quiet beauty. For those of you looking for a wedding day photographer or considering Vito’s work, we could not recommend him more enthusiastically. All of our dealings with him before we arrived in Venice were prompt and professional; he met with us upon arrival and listened to our wishes for our wedding day; and was with us from ceremony to boat ride to official photos to dinner. And what he produced was pure beauty! Mille Grazie, Vito! Dear Vito I honestly do not know how to start this email but your photos have blown us away. You are a true gentleman with an amazing talent and we are so thankful that we had the opportunity to meet you and share this experience with you. Your imagination and vision before taking a photo is priceless, it is a true skill and talent to capture the moment as it is and turn it in to so much more like the way that you do. Every single image took us back to our time in Venice and years from now when we look back at your photos they wont be just memories but a journey that we will be able to re-live over and over again. You give a whole new meaning to the word ‘professional’ and I wish that everybody wanting to capture a special moment in their lives has the opportunity to work with you. Thank you for all your time and effort. Just know that no matter where we are in the world, when we think of Venice we will always be smiling because of you. Jackie & Naki – DUBAI“. Vito was amazing! He took the most wonderful photos of our day. He listened to my requests for the style and feel of the photos and really took them in board and delivered. Vito made us feel comfortable and at ease. In fact we just got on with getting married and he was just in the background getting all of those intimate moments which mean so much. If you are booking him from abroad which is what we did I would say do not hesitate. He is professional and friendly and is a true artist at work. Sam and Mike from Cheshire England. Vito was the best. 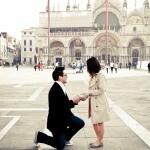 We asked Vito to photograph our engagement photo shoot in Venice, and it was the best 3 hours we could have asked for. The pictures came out stunning, and Vito had this way of putting us at ease…as a result, the photos came out very natural..and we’re extremely thankful. Thank you Vito…you did an amazing job capturing one of the most important moments in our lives. 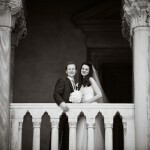 We highly recommend Vito for anyone looking for a talented photographer who knows his way around Venice. Dustin and Rose from New York city. 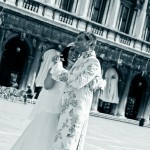 Vito photographed our wedding day in Venice in September 2011. He provided an excellent level of service, spending the entire day with us from 11am until we returned to our hotel in the evening at 6:30pm. He took over 1000 photos! We now have a treasure trove of memories from our amazing day. Thanks so much for everything Vito! 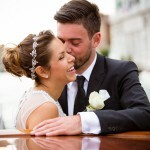 We would recommend you to anyone considering a wedding photographer. Hi Vito, We received the CD on Saturday and words cannot express how happy we are with the photographs, you did an amazing job!! You really knew how to direct us to help us look our best, we are truly grateful.